Singer Charlotte Church has become increasingly politically active since the General Election, making her anger at the Conservative government known. 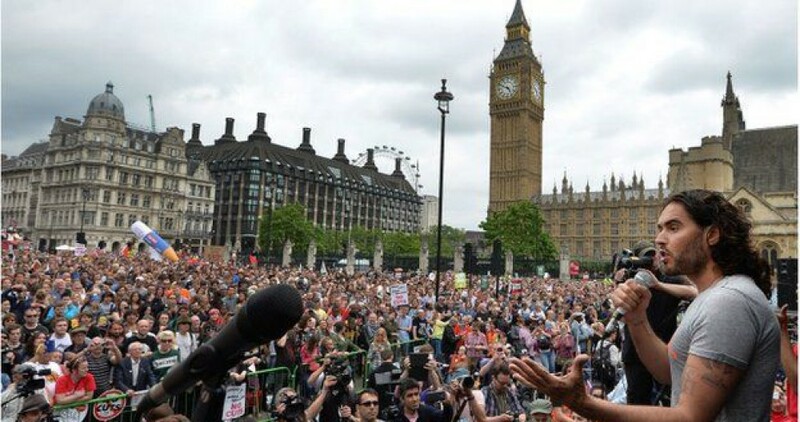 On June 20th she gave a speech at The People’s Assembly protest against austerity. Criticism of Church has intensified since this much-publicised speech, with continued accusations that she’s a hypocritical champagne socialist being served up with a predictable sad side dish of misogyny. This week I’ll write a post about the reaction to Church’s turn to anti-austerity activism, asking whether her case demonstrates that it is impossible for a celebrity speaking out on political issues to be seen as authentic. It’s so heartening to see so many people here. I’m not going to take up much of your time. But I do want to talk to two specific groups today. The first is those economists, academics, journalists, lawyers, public figures, celebrities, artists, who consider themselves progressive. We need to stop genre defining our politics, and harking back to old ideologies, and start talking about the future of government, the future of democracy, our children’s future; how we can be innovative in our thinking, how we can captivate the attention of the disengaged demographics, and how we can re-engage those at the most disaffected desperate fringes of society who were convinced to vote for a new-age fascist party by “Chicken Licken” trickery from an ale-swilling, pinstripe, Enoch Powell. This entry was posted in Uncategorized by ellenwatts11. Bookmark the permalink.